Similarity plays a central role in language understanding process. However, it is always difficult to precisely define on which type of data and what similarity metrics we can apply in order to assess the similarity of two texts. Previously, we proposed a four-layer system  that takes into account not only string and semantic word similarities, but also word alignment and sentence structure. Our system achieved new state of the art or competitive result to state of the art on different test corpora for the Semantic Textual Similarity (STS) task from 2012 to 2015. The multi-layer architecture helps to deal with heterogeneous corpora which may not have been generated by the same distribution nor same domain. 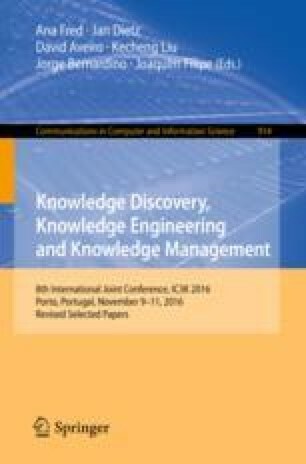 In this extended paper, we looked into the correlation between the two semantic processing tasks Semantic Relatedness (a more broad task of STS) and Recognizing Textual Entailment (RTE) to construct a co-learning model where we integrated our multi-layer architecture and Corpus Patterns technique to ultimately improve the performances of both tasks.